Who says that you can only drink coffee? Here are 5 creative uses of coffee for you! Indeed, coffee is one of the most preferred beverages in the world. But, there are many interesting ways to use coffee grounds other than making beverages! What to know what are they? Let’s find out the most practical uses of coffee grounds in this article. Coffee has excellent beauty properties. It’s actually a great remedy to put some extra shine on your dry and frizzy hair. It makes to hair as smooth as silk. How to use it? Brew enough amount of coffee so that you can apply it throughout your entire hair like hair marks. When it gets cooled, apply it on your scalp and massage in a circular motion. After leaving it for half an hour, wash it off! Try this once in a week and see the difference on your own! Yes, you heard it right! You can use coffee grounds to fertilize your garden’s soil for optimal plant growth. Coffee grounds provide potential nutrients like nitrogen, potassium, calcium, iron, magnesium, phosphorus, and chromium to the soil, promoting plants’ nourishment and ultimate growth as well. Also, coffee grounds help your garden to be warm free. So, try it as a fertilizer in your garden. But, make sure that you are not over-using it. Otherwise, this might lead to negative results! When you open your fridge’s doors, you get an unpleasant smell – it has happened with us all for once, right? Do you know that coffee beans can actually work as air fresheners, simply by filtering the air effectively? 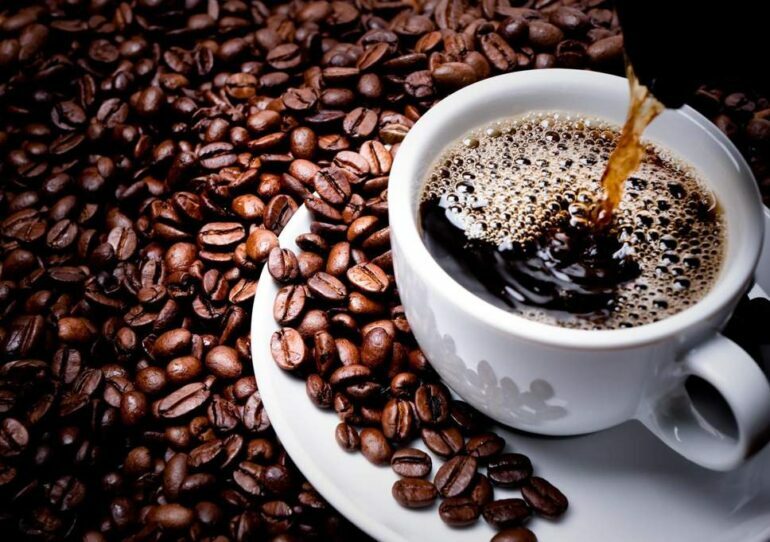 Coffee fights with strong and unpleasant odors in the refrigerator and removed bad smell within minutes. How to use it? 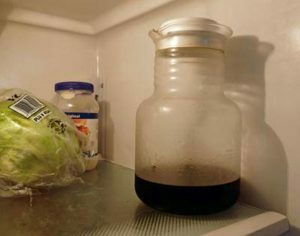 Leave a cup of your left-over coffee in the fridge and let it be there for an hour or two. After some time, open the fridge and see strong odors will be gone completely! Are you unable to remove all the fleas from your pet? Instead of trying costly flea-removal products from the market, try out coffee. As Coffee grounds are natural, these are definitely better than the ready-made flea-removal products which contain harmful chemicals in them. Also, fleas hate coffee grounds. How to use it? After shampooing, rub the coffee grounds on your pet’s fur evenly. Keep rubbing for 5 to 10 minutes and then rinse it off. Continue this treatment for a couple of weeks and check if the fleas are removed from your pet or not! If you see that it’s not effective, contact a doctor immediately! Coffee grounds actually have great rejuvenating power and an exfoliating agent which not just help in removing dirt and dead cells from our skin but help in growing new skin cells as well. How to use it? You can mix coffee grounds with a few drops of coconut oil or water and then apply the paste directly on your face and hands. If you want, you can add some honey as well. Keep it for 10 to 15 minutes and then rinse it off with water.